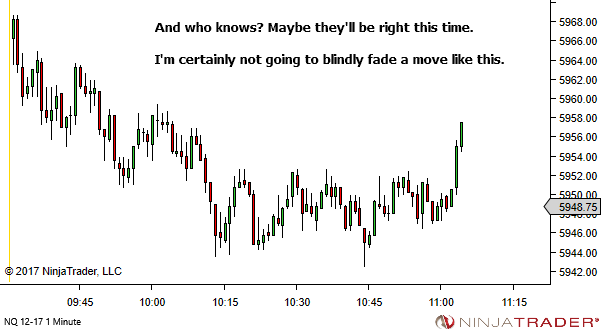 You can't catch every good price move. 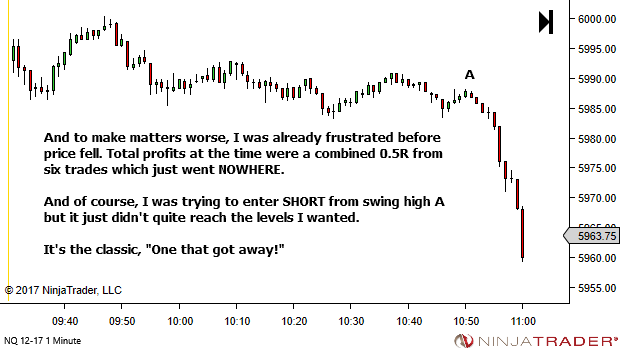 It wasn't mine to take. 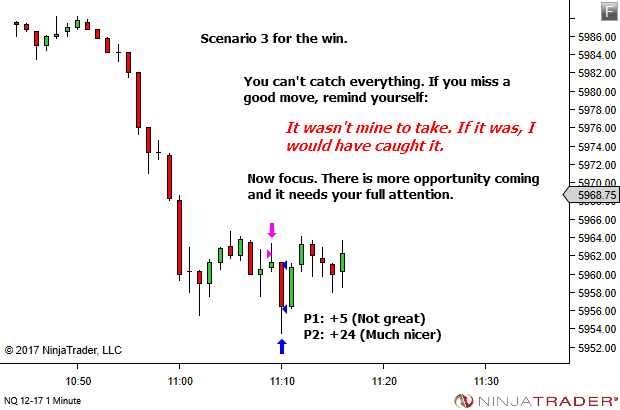 If it was, I would have caught it. 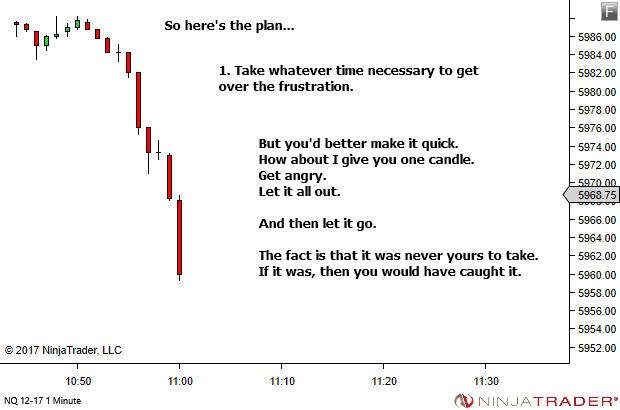 Now focus. 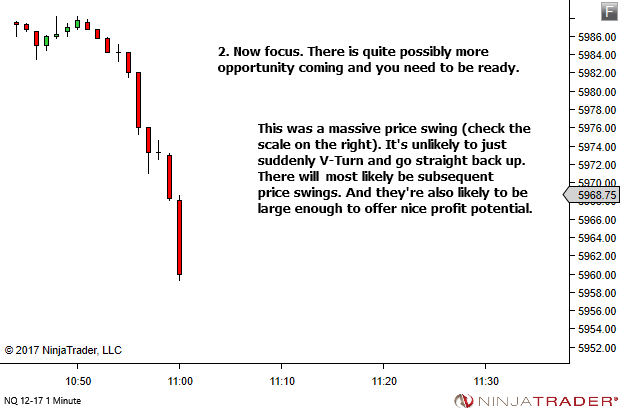 There is more opportunity coming and it needs your full attention. 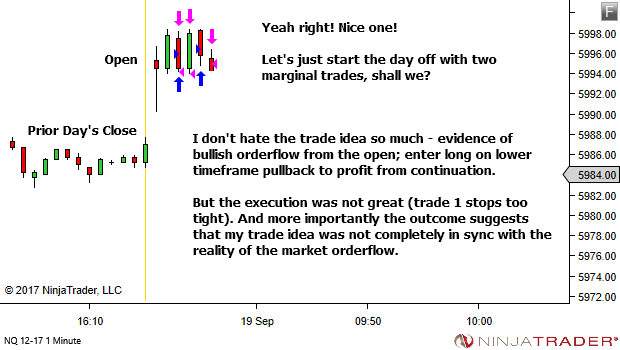 Let's continue with a series we started last year – the metagame – trading AGAINST other traders who find themselves on the wrong side of the market. 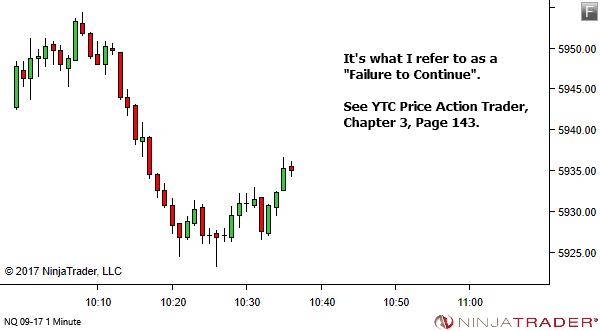 You can see the prior articles here if you missed them – One – Two – Three – Four. 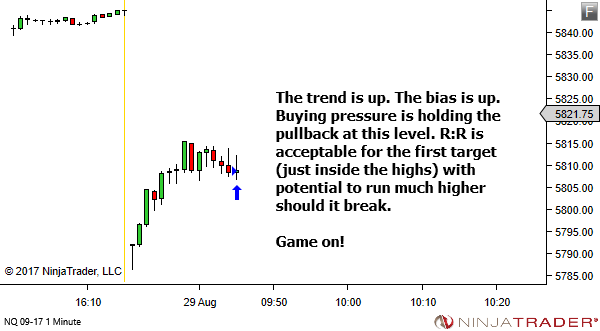 From a metagame perspective, this is the scenario we're looking at. 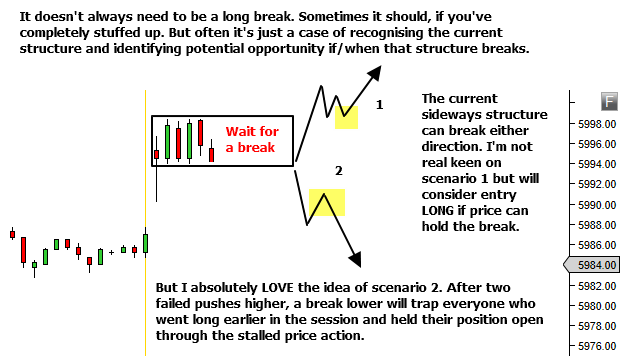 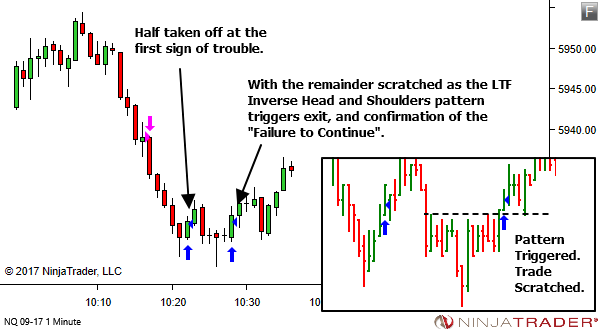 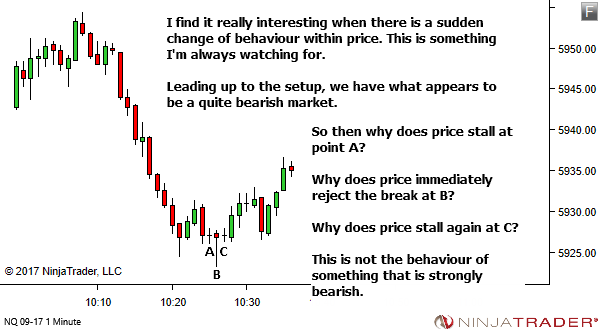 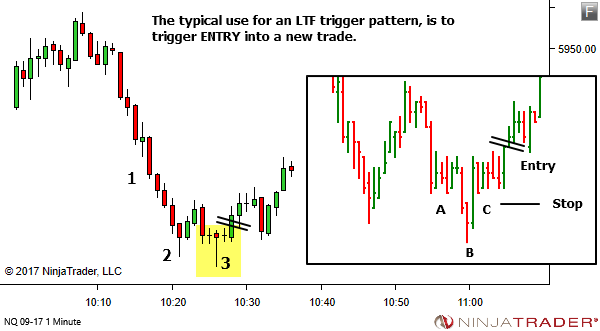 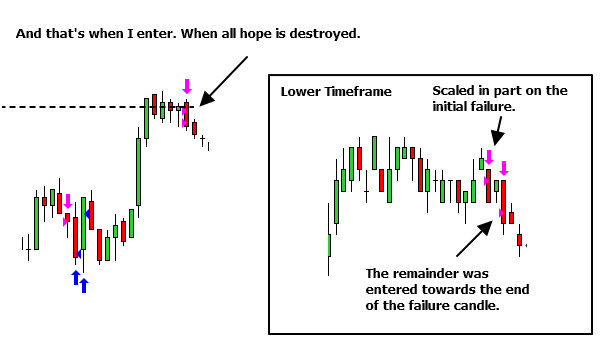 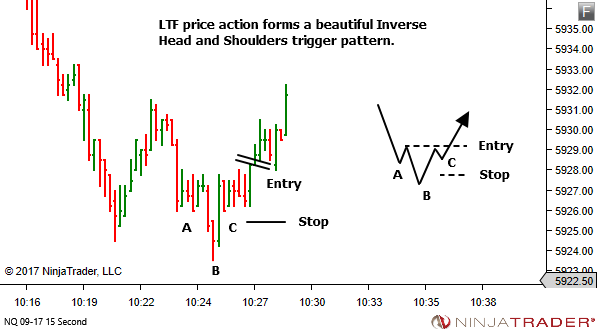 We aim to place ourselves in the mindset of any trader who bought late in the move, at or soon after the breakout. 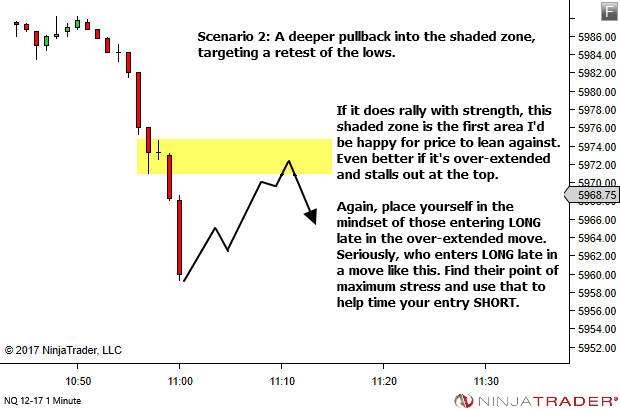 Feel their stress build as price stalls. 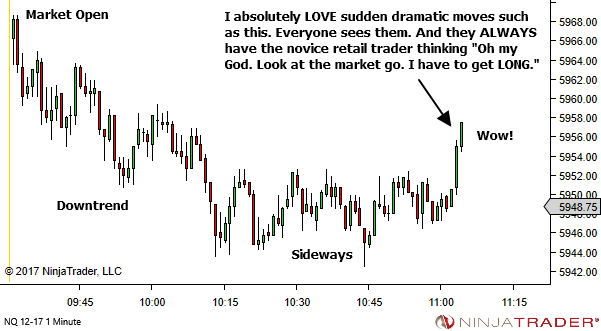 And stalls. 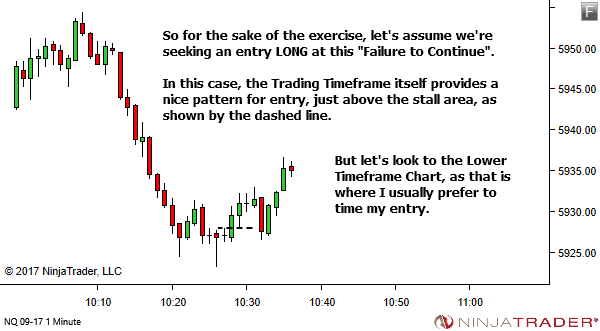 And stalls. 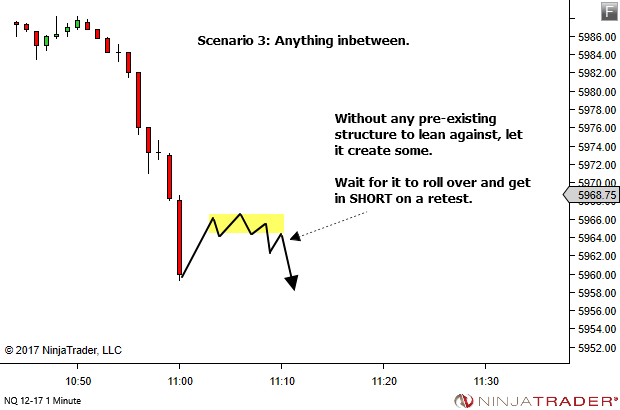 Feel their pain as their "sure thing" collapses back below the stall region. 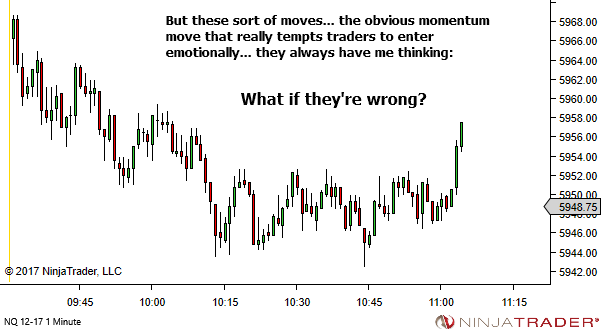 And find a way to profit from their pain. 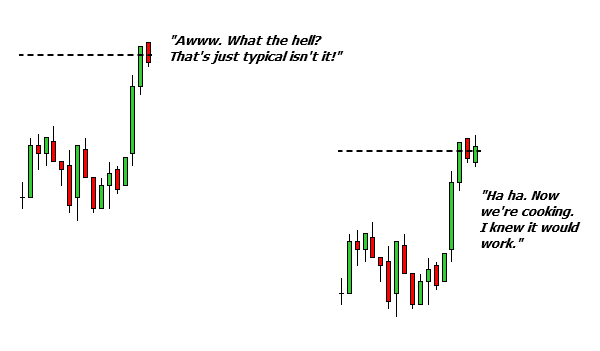 Let's zoom in a bit. 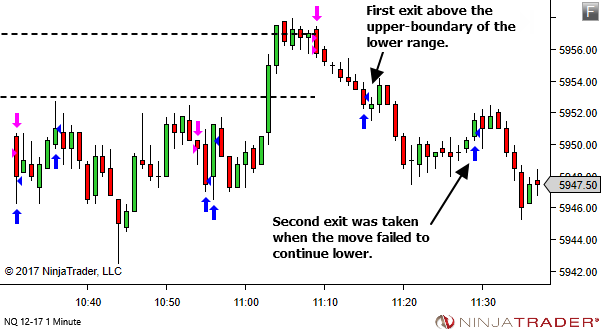 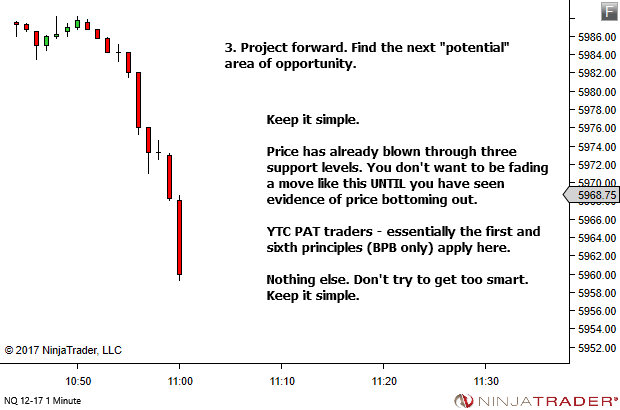 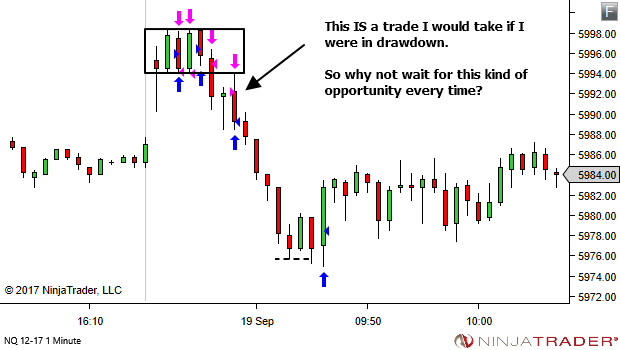 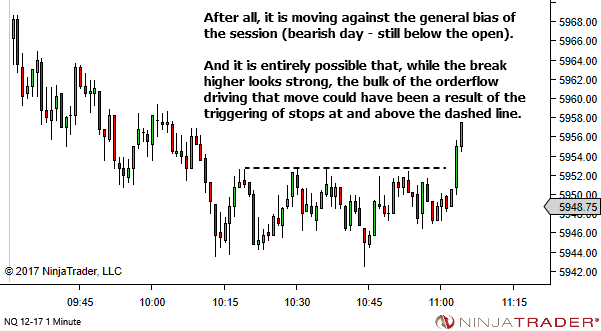 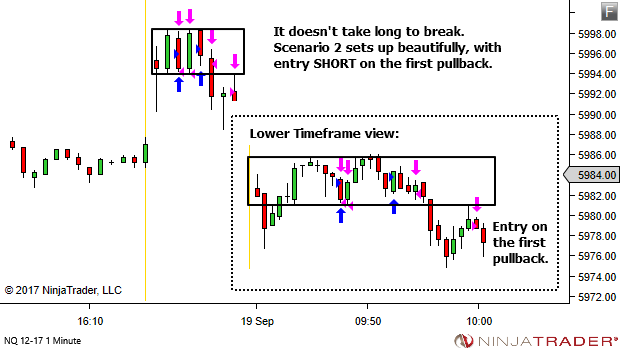 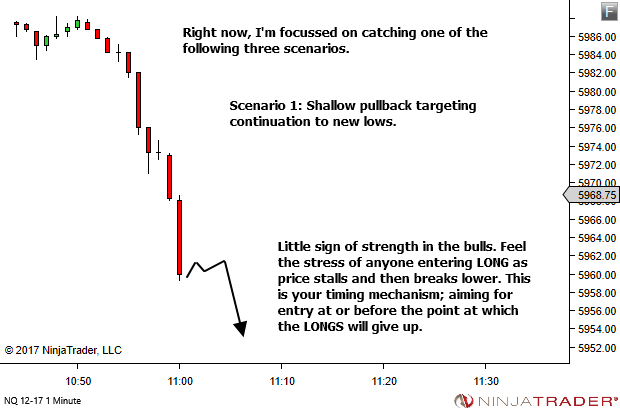 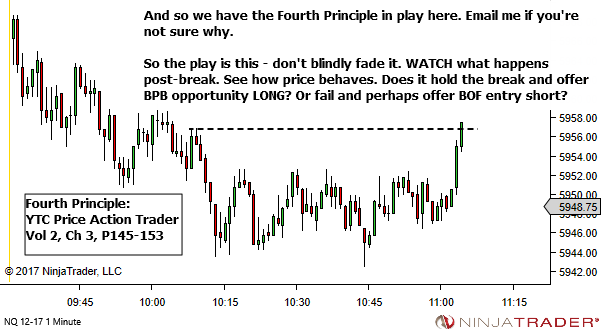 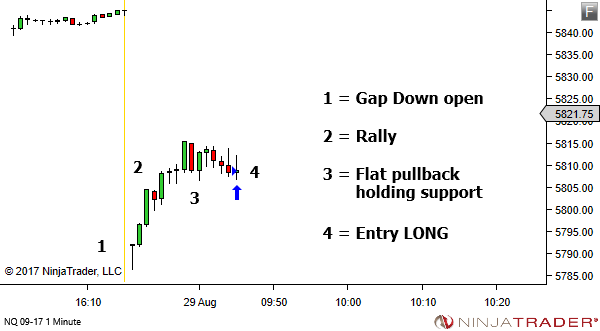 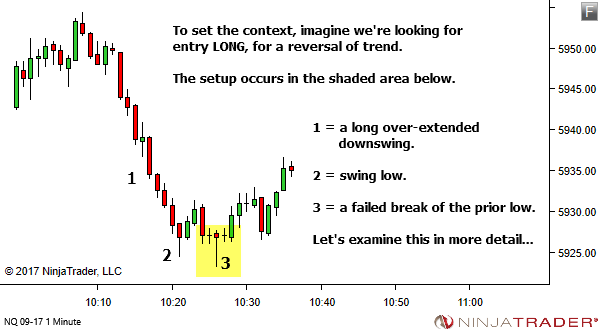 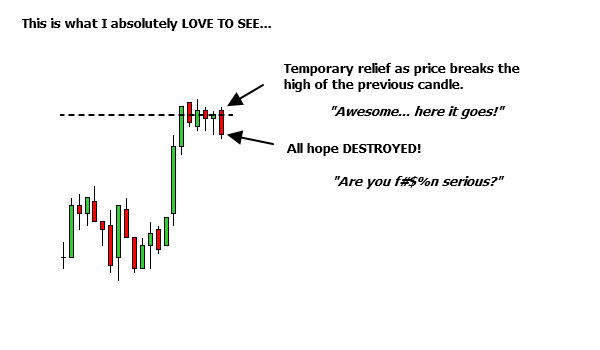 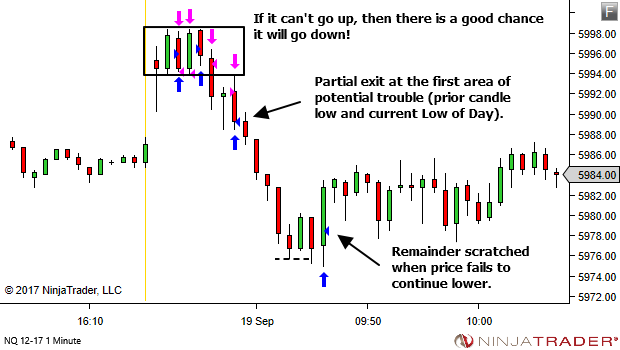 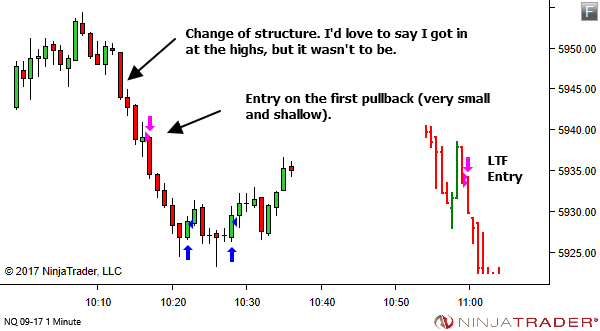 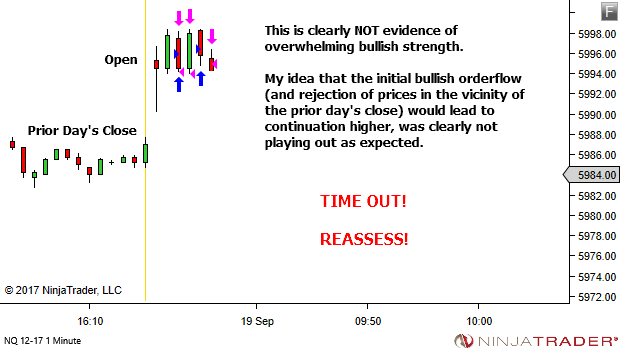 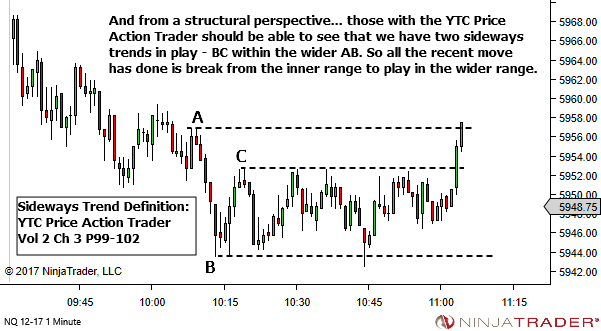 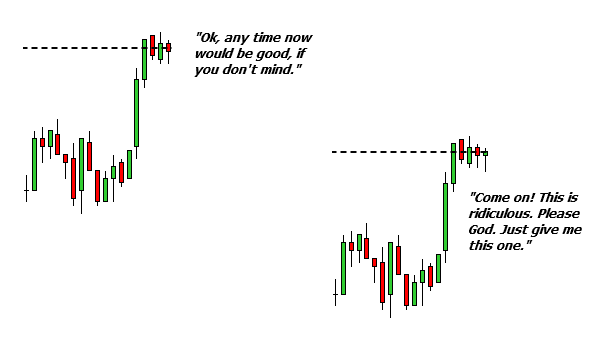 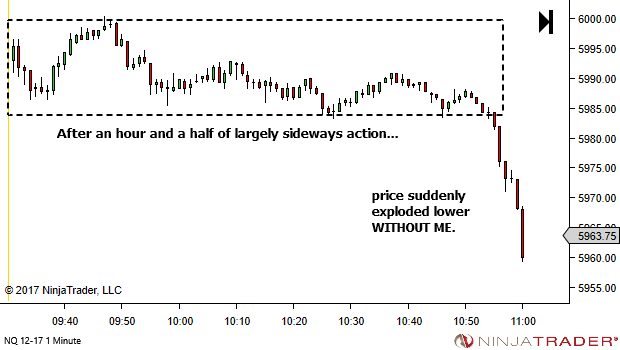 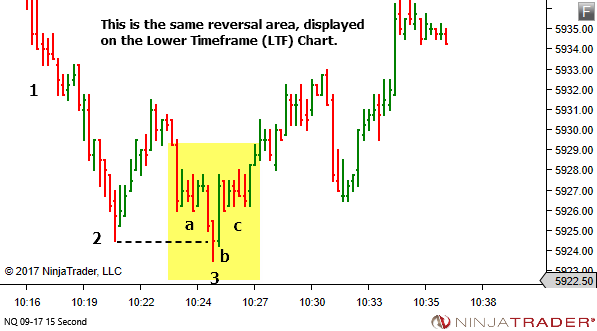 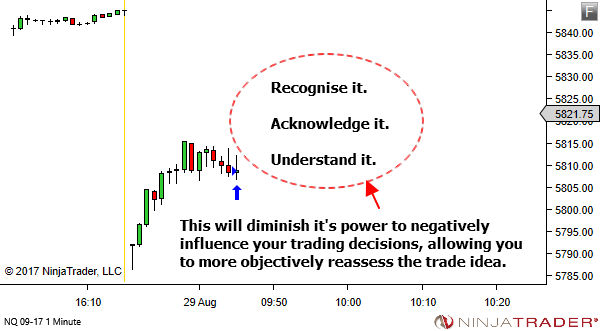 And take on the mindset of the novice retail trader who entered late in the move (let's say right on the break). 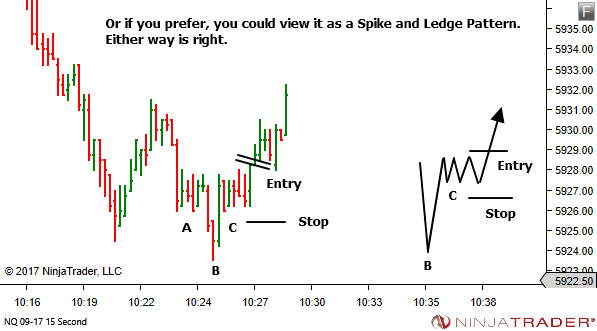 Fast, sudden price moves don't always continue. 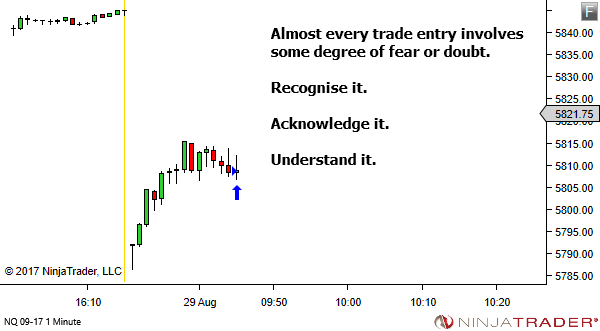 Quite often, someone is getting trapped.